We were lucky enough to catch up with the fascinating, talented, and beautiful Constantine In Tokyo. You’ll find out a lot more about her experiences in costuming, cosplaying, and Japanese culture. I’ve been interested in comics, film, and animation for as long as I can remember and I was very heavily involved in the convention scene when I was in high school; mostly attending anime cons and doing a bit of light cosplaying. I didn’t really start pursuing cosplay seriously until the summer of 2012. I was coming out of a very difficult time in my life and moving to Los Angeles…and I just thought, “You know, I want to spend some time just focusing on something I love.” My mother taught me how to sew when I was young and costume construction has always been something I’ve really enjoyed…considering my other interests in comics and film, picking up cosplay as a hobby was probably pretty inevitable! How long have you been cosplaying and do you remember your first costume? I’ve been making costumes for myself since high school, but when I was a teenager I rarely had the patience to fully complete a costume! I’d get about 85% done and then lose motivation. 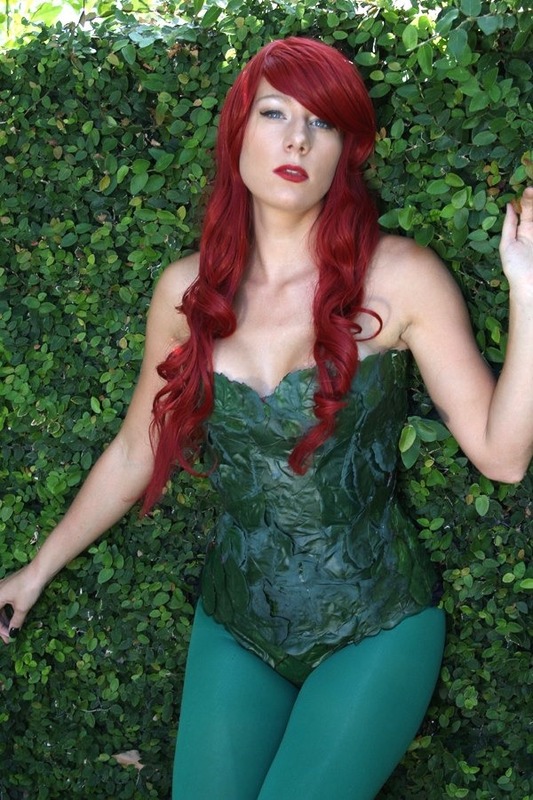 With cosplay, it’s hard to consider a costume 100% complete unless it has been photographed…and I churned out at least three costumes right when I moved to LA in 2012; Poison Ivy from Batman, Psylocke from X-Men, and Kasumi from Dead or Alive. Do you model other than cosplaying? Recently I’ve been getting more and more inquiries to work as model in a non-cosplay capacity, which I still find very strange since I don’t consider myself a model AT ALL. In truth, I really don’t have much interest in modeling – posing in front of a camera has always been something I’ve found a bit stressful. I’m much more interested in building costumes and trying to bring characters to life; I only pursue projects with photographers that incorporate cosplay/costumes and I really only ‘model’ because it’s an unavoidable aspect of cosplay. You design a wide variety of costumes, which was the most challenging to put together? I’m starting to work more heavily with armor and that presents a lot of interesting challenges. I am much better at sewing than I am at prop building and still have a lot to learn about some of the more complex materials used to construct armor and props. Additionally, finding ways to attach armor to your body while still being able to MOVE can sometimes be an enormous challenge. Dr. Doom is the most armor-heavy costume I’ve attempted so far and I don’t consider it 100% complete yet. Who are some your favorite characters? Which character do you find the easiest to portray and which is the most challenging? Based on the reactions from people at conventions and online, it seems that I’m fairly good at portraying Emma Frost and Cheetara (both characters are fairly serious) and I enjoy dressing as ‘Lady’ Data from Star Trek because it’s fun to be a quirky android who struggles to understand human emotion, haha! 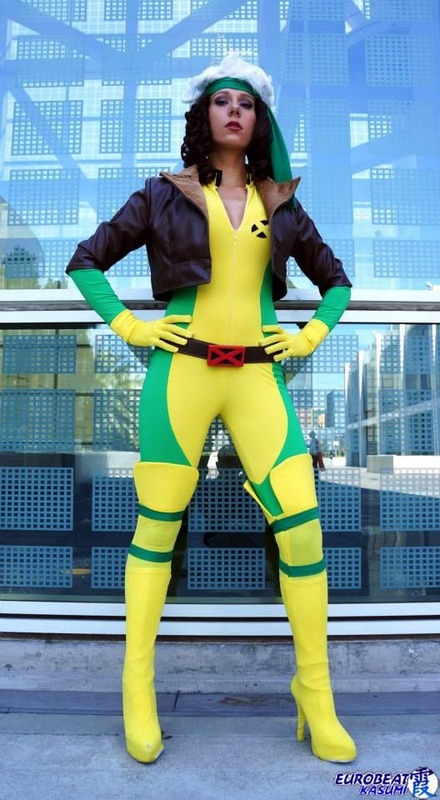 To be honest, I think I have the most trouble with portraying Rogue. While I love her character dearly, my demeanor is not like hers; I’m not sure if I’ll ever get that tough Southern thing down. What do you like to do in your spare time, other than working on your cosplay? Cosplay is definitely a hobby that consumes most of your free time and it has become one of my main focuses. But, I spend a lot of time watching movies, reading books and comics, and making YouTube videos. Outside of the world of ‘geek,’ I travel very frequently and also rock climb. Do you read comics regularly and which are your favorites? Anything Marvel-related is definitely my focus, and I suppose X-Men will always be my favorite. Right now, though, I’m reading The Immortal Iron Fist and a few other things. Is there anything that really gets on your nerves about cosplaying in public? Actually, one of the things that non-cosplayers don’t realize is how tiring it can be to wear a costume in public. It’s really easy to get fatigued – you’re usually wearing a costume that is substantially less comfortable than clothing, standing for hours on end (and usually in very high heels), walking around crowded convention floors and having your picture taken over and over again. Granted, this is also one of the things that’s FUN about cosplay, but it’s amazing how tired you can get from just standing around in costume for 7 hours. Hands down, my favorite thing about cosplay (both at conventions and online) is how many incredible people I get to meet. I can honestly say that I’ve met almost all of my close friends through cosplay/conventions and being dressed up as a superhero is probably one of the best icebreakers EVER. There’s an undeniable sense of camaraderie at conventions and it’s one of the easiest places to strike up a conversation with a stranger! How many conventions do you usually attend in a year and which are your favorites? I basically attend at least one convention a month (sometimes more)…basically, I try to go to as many as possible! This year, I’m definitely looking forward to returning to Comikaze, Power-Con, and LBCC. Larger conventions are fun because there’s basically never a moment when something cool isn’t happening, but I also enjoy smaller conventions for their more relaxed and intimate vibe. I’ve had the opportunity to meet many of the artists responsible for creating my favorite series or characters while dressed in one of their costumes – I don’t think that will ever get old. Probably the most memorable one was when Stan Lee actually came up to me while I was having lunch at a convention and struck up a conversation with me about my costume. That was pretty ridiculous. What’s one of your least memorable moments while cosplaying? I suppose by definition, my ‘least memorable moment’ would be one that I can’t remember, lol! Do you notice significant differences between appearing at anime cons as opposed to comic cons? While I do attend anime conventions, I definitely prefer comic cons. This is mostly because I’m much more interested in comics nowadays than Japanese animation and also because I feel comic conventions attract (overall) a slightly older audience; there have been times I’ve been at an anime convention and realized that I was surrounded by teenagers! I think the demographic is probably the biggest difference between anime and comic conventions – anime cons have a much more youthful and goofy feeling about them (almost like a non-stop party of silliness) while comic cons can be more serious. Ultimately, I think this is because anime is an import; even the largest anime conventions only offer a small amount of Japanese guests (artists, etc) and the language barrier makes it harder for fans to just casually converse with the creators that they admire. At comic cons, the Artist Alley is a very big deal and you see older fans taking advantage of the opportunity to chat with their favorite artists and ask them for autographs and sketches. Plus, with the print/collectible culture the way it is now, comic cons offer collectors an opportunity to get their hands on rare items and merchandise. When it comes to anime and Japanese collectibles, there isn’t much that you can’t find online. Since you’ve spent time in Japan, do you notice a cultural difference regarding cosplay between Japan & the US? When people ask me about the differences between Japan and the US, one thing that I cannot emphasis enough is how accepting Americans are of people being individuals and pursuing their own quirky individuality. I think this is something that people take for granted if they haven’t lived abroad, but the United States is an extremely accepting place to exist. While manga and (to a lesser extent) anime is widely consumed in Japan, cosplay and convention culture is still extremely marginal and it isn’t necessarily something that people openly broadcast about themselves in their day-to-day lives. For example, people do not arrive at conventions or events in Japan already dressed in costumes, there are specific changing areas set aside for people to put on and take off their costumes at the event. Also, conventions in Japan are very organized. In America, cosplayers wander around the entire convention in costume but in Japan, there are (again) specific areas set aside for ONLY cosplay. Cosplayers tend to select one location and photographers will form a queue to take pictures of that cosplayer. One other thing about Japan that I would point out is that they tend to pursue hobbies very seriously. This is partially because Japanese society just doesn’t allow as much ‘free’ or ‘personal’ time as American society. When you live in Japan, work is a very big part of your life and basically no one with a career just works a simple 40 hour week – you often work much longer hours and also have additional obligations like attending after-work functions like drinking parties with co-workers, etc. If you do have a hobby in Japan, you usually only have ONE and are very serious about it. If your hobby is golf/tennis/fishing, then that’s basically what you invest all of your free time into. In a sense, this is entire essence of the ‘otaku’ culture; very VERY specific interests to which you devote an incredible amount of time and resources. A good friend of mine in Japan was interested in Pokemon. THAT was his hobby – it wasn’t anime or manga or videogames, it was POKEMON. He watched every single episode of every Pokemon anime, owned every single Pokemon game out there and collected as many Pokemon goods as he could. One of my students, his hobby was being a fan of AKB48. He’d go to Tokyo just to meet his favorite members of the band and he had very specific reasons for which girls he liked and which girls he didn’t like. AKB48 was his hobby. In Japan, it’s totally normal for someone to have COSPLAY be their hobby. 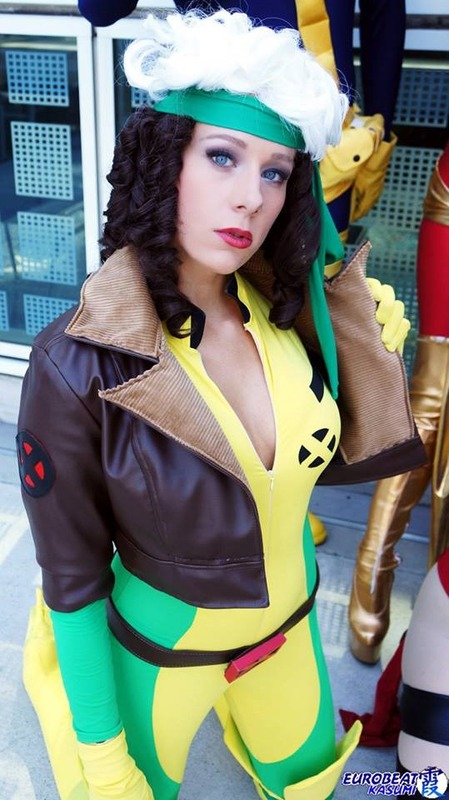 JUST COSPLAY – not reading comics, playing games, etc, but ONLY COSPLAYING. In America, I think we have this mentality that people need to be very well-versed in a wide variety of topics. You see this in how we are taught to apply to colleges; you need to have good grades AND play a sport AND participate in extracurricular activities AND have so many hours of community service, etc etc. This is good in the sense that this can help someone be a well-rounded and interesting individual, but it also means that you might not truly be an ‘expert’ in any one thing. I frequently see these expectations being placed on cosplayers. Unlike someone who is just, say, interested in reading comic books, cosplayers seem to be held to different standards. To an extent, this is understandable, considering that the roots of cosplay are a form of expressing your love and fandom for a certain character or series. However, as cosplay continues to transform into its own unique hobby and culture, I think it’s normal to see cosplayers selecting costumes based on whether or not it’s aesthetically pleasing or because it presents a unique construction challenge. 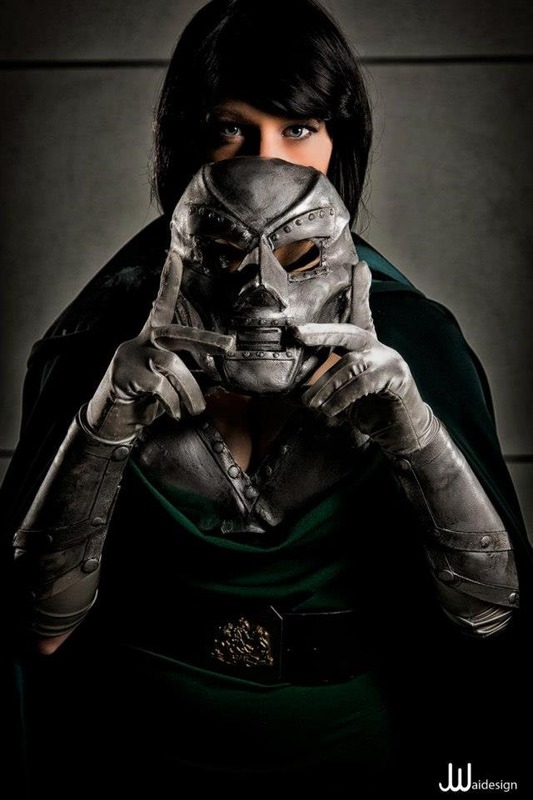 Another cosplayer I really love to follow is Nicole Marie Jean. She has amazing costumes and is an incredibly gorgeous woman, but the main thing I respect about her is the simple fact that SHE LOVES TO COSPLAY. It’s obvious that Nicole cosplays for the simple reason that she finds it FUN and she has zero interest in changing who she is or what she does in order to become more ‘successful’ as a cosplayer. As cosplay gets more and more popular, you start seeing people treat it as a job and get distracted by gaining more ‘fame.’ Nicole is, quite frankly, one of the sweetest and most fun-loving cosplayers out there and I sincerely hope I’ll have the opportunity to meet her sometime. How much time do you invest in it? The amount of time I spend on cosplay is dependent on how busy the rest of my life is. I spend a certain amount of time every week on some sort of cosplay-related thing, but there will be certain weeks I’ll put in 40-80 hours on sewing and costume construction while there are other times that I only spend a few minutes each day responding to messages or email inquiries. It definitely is my most time-consuming hobby though. Honestly, the biggest advice I’d give to new cosplayers is to just not compare yourself to anyone else. Ever. Don’t look around the cosplay community and think “There are so many other great cosplayers out there, there’s no room for me” or “Someone else has already cosplayed this character so well, I might as well not bother.” Just find the things that interest and inspire you and DO THEM. Cosplay can be intimidating – there are a lot of ‘stars’ within the cosplay community, there are definitely cliques, and there will definitely be people who you encounter that will be judgmental or competitive with you. Fortunately, there are many, many more awesome, supportive people within the community and there’s infinite room for more. Just stay true to yourself and everything else will work itself out. I’m a people pleaser – it’s a flaw in my personality, but it’s really important to me that I get along with others and make people happy. I think if I could change anything from this past year, it’d simply be that I not invest so much time and emotion into trying to make everyone happy. Honestly, it’s impossible. I think over the past year, I’ve developed a much thicker skin. Not everyone is going to agree with my opinions and I’ve learned to just stick to my own advice and stay true to myself. Also, sometimes it’s best to just ignore stuff. Even if you feel like you’re being treated unfairly, it’s always a good idea to run a cost/benefit analysis of responding to something. Sure, you might be able to get your point across, but it might not always be worth the effort. What does the future hold for Constantine In Tokyo? Lots of new costumes and some much more ‘epic’ and large-scale photoshoots. I’ve been investing a bit of time in developing a larger network of photographers to work with and I’m looking forward to sharing some new and interesting projects with the people who enjoy following my work as a costumer. Constantine, thanks for taking the time to give us, and all your fans, insight on your cosplaying & costuming. We look forward to seeing a lot more of your work in the future! If you would like to book Constantine In Tokyo for your convention or event, you can do so through her email here.